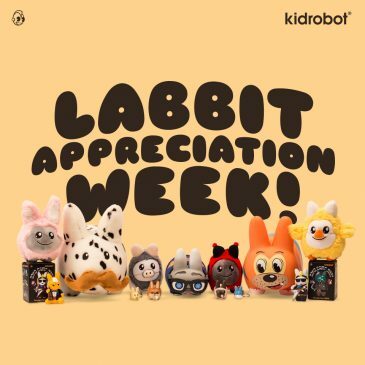 Labbit Appreciation Week Kick Off! 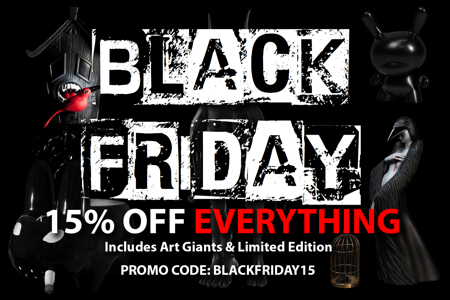 Get ready for Black Friday with a 15% off promo code at www.kidrobot.com on everything! Just type in BLACKFRIDAY15 at checkout and you are all set! Better hurry because stock is limited! NEW Sale Page on Kidrobot.com! With the launching of our new website at kidrobot.com, we will be continually improving the experience by adding new pages and features to our site. The most recent addition is our Sale Page. The sale happens Monday, April 28, 2014 at 9:00AM EST and will end at 8:00PM EST. Heads up! Kidrobot.com will be putting select toys on sale for 60% off Monday, 1/28/13, for 6 hours only. Make sure to check the times above and don’t miss out! Come Play At Our Warehouse! Items Up To 70% Off! Ah, Cyber Monday. That day of the year when your online shopping habits are not only encouraged, but rewarded. Because we love crazed holiday shopping so much, we’ve decided to not contain the fun to just one day. Thus, we’d like to wish you a Happy BlackFriSatSunday.